Skilled and speedy NHL winger who debuted with the Tampa Bay Lightning in 2013. 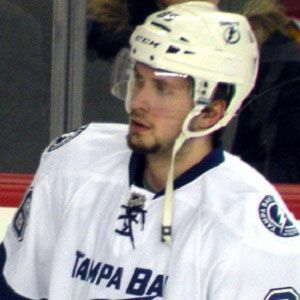 He was playing for CSKA Moscow of the Russian Continental Hockey League when the Lightning selected him 58th overall in the 2011 NHL Draft. On November 25, 2013, he became the seventh player in Lightning history to score a goal in his first NHL game. The goal came on his first shot and on his first shift. He was born in Maykop, Russia. He and linemate Tyler Johnson led the Lightning in assists during the 2014-15 season.